If you’re searching for a one, two, or three bedroom apartment in Northwest Austin, Texas, you probably have a list of “must-haves” and “nice-to-haves” for your new home. 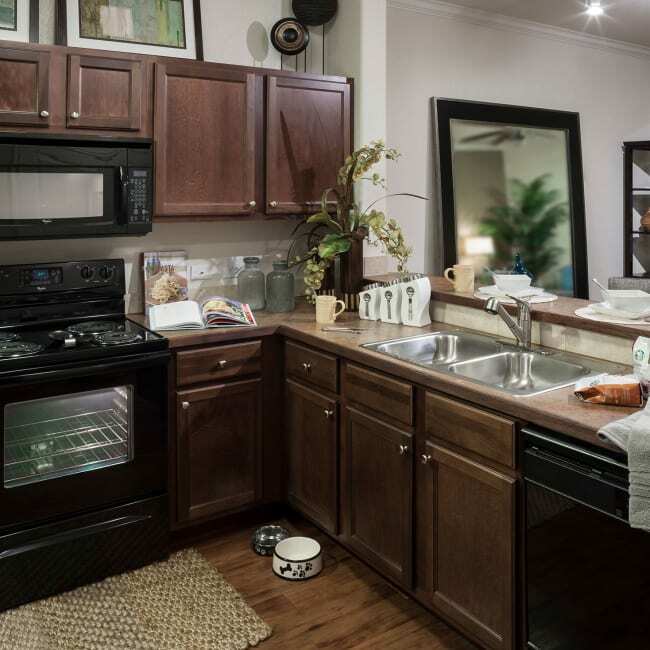 At The Asten at Ribelin Ranch, you’ll be surprised at how our thoughtfully designed features check off all the boxes. You’ll love the stylish black Whirlpool appliances, the timesaving in-home washer and dryer, and the ultimate in convenience: a built-in desk area with USB outlets. Many communities in Austin, Texas, offer pools and grilling areas. But look more closely and you’ll see that the amenities at The Asten at Ribelin Ranch take your lifestyle to a whole new level. The resort-style swimming pool features walk-in beach access, the private poolside cabanas are WiFi enabled, and the outdoor grilling area comes with its own 70-inch TV screen so you can cheer on your favorite Texas teams. The Starbucks coffee bar and separate volleyball pool are two more delightful touches. Ready to see your community “must-haves” in person? Contact our team today to set up a tour.